Successfully Added Holiday Light Projector - 12 Light Patterns, IP44 Waterproof, 100 Square Meter Projection Coverage, Remote Control to your Shopping Cart. Set the right holiday spirit with this amazing holiday LED light projector. This cool gadget allows you to easily project colorful LED light figures onto your wall. The package comes with 12 different LED light discs that each features different holiday patterns. This little gizmo is perfect for setting the right atmosphere during Christmas, Halloween, Easter or a birthday party. It comes with a powerful light source that can be used efficiently at both day and night. It can cover up to a 100 square meter, making it suitable to be used in large open spaces. Thanks to its soft LED technology, the light is not harmful to the eye. 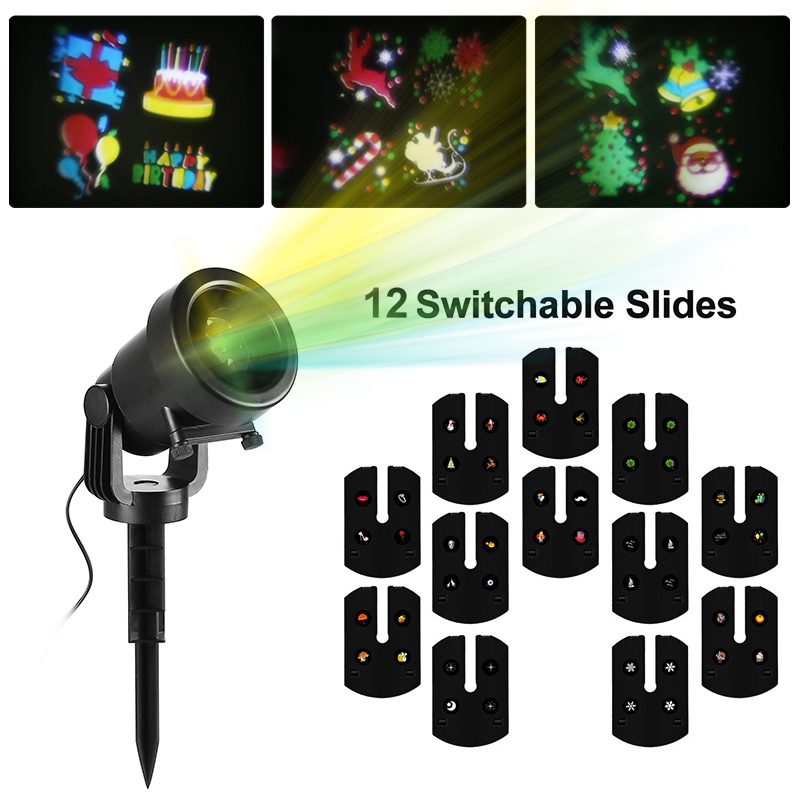 This holiday LED light projector features an IP44 waterproof design. It furthermore comes with different types of mounts which makes it suitable for both indoor and outdoor usage alike. Whether you use this gizmo to decorate the outside of your house during Halloween or for setting the right mood during an indoor dance – this LED light is sure to impress. Your LED light comes with a compact remote control. This accessory allows you to easily adjust the light’s rotation speed and size. With this LED light projector at your side, you’ll be able to create stunning light effects at any given moment.